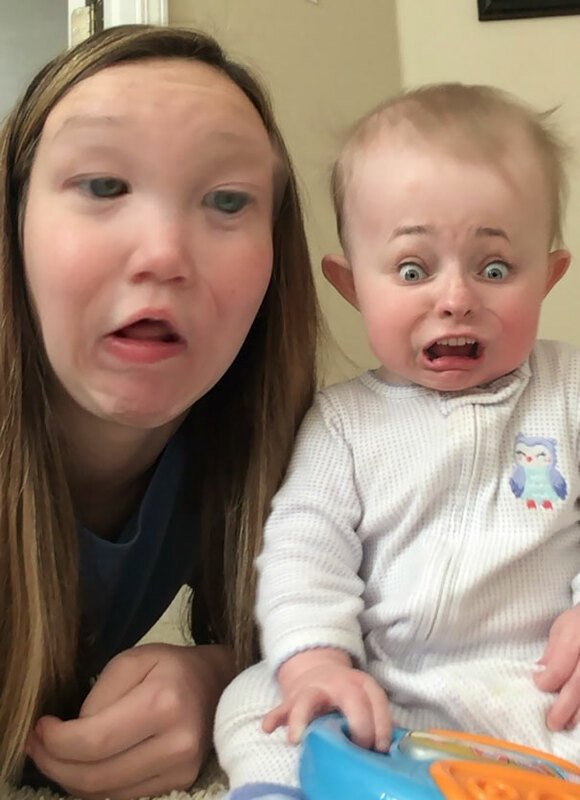 Snapchat Face Swaps That Has Gone Terribly Wrong & Horrifying! 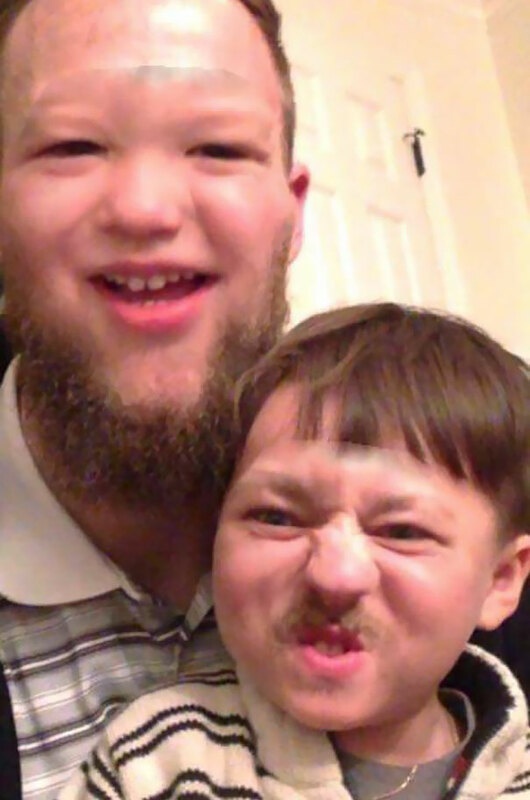 Face Swap on the snapchat is fun. You can imagine your face on the other's body and can judge yourself. 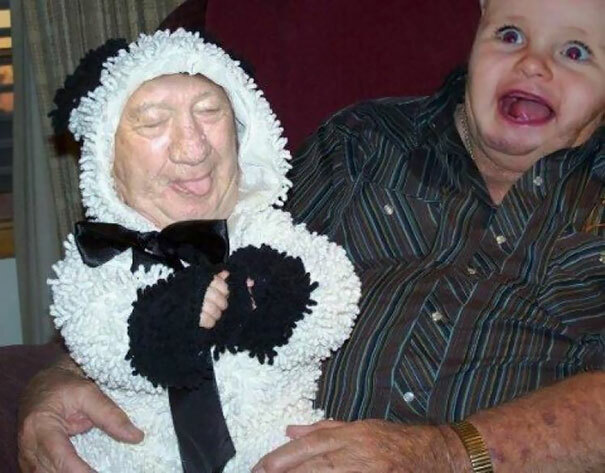 But sometimes people swap their face with something hilarious and terrifying things! Well, what are they? Brace your eyes and hands on phone! Baby: If you don’t eat it, I will eat. It’s damn tasty. Well, you know I got a ninja technique to convince you! Now her face sensing ability is greater than every animal in the world. 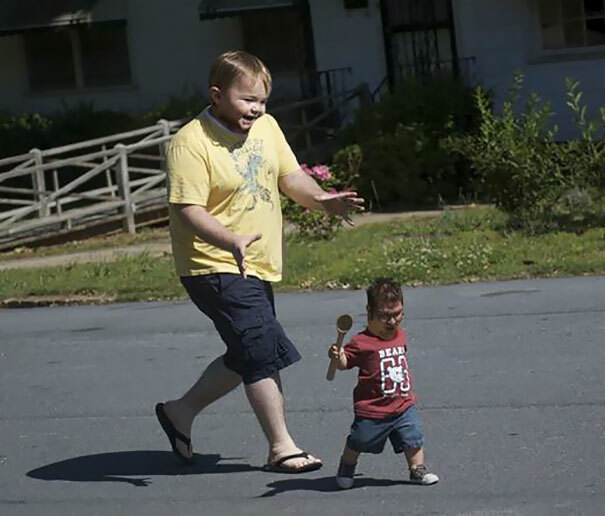 And actually, that’s #faceswapfail. It looks a big toy or miniature toy! 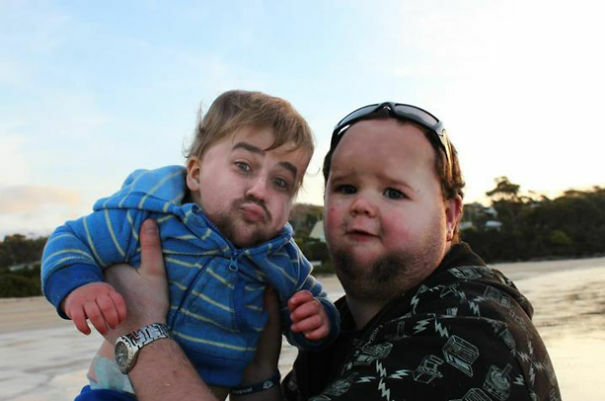 This is the perfect face swap on the Internet I have seen till now. Well, there are more eleven face swaps down the list! 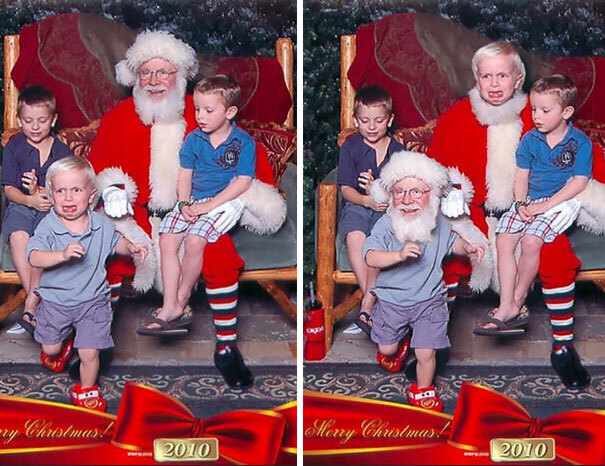 In the second picture, Santa is running to fetch the deers. He forgets that he didn’t tie the deers to the branch of the tree and of course he forgot the kid’s gift. Don’t put that in the mouth! 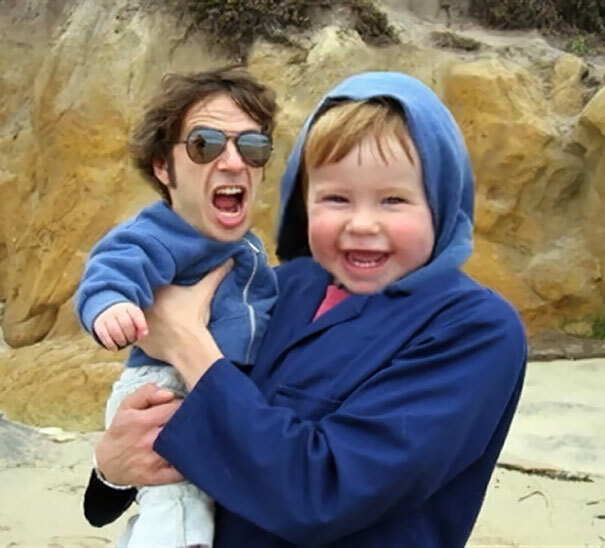 The baby looks happier than the dad. Daddy can’t escape from the giant baby. He is trapped. Save him! Well, the baby looks creepy with a gigantic body. I think someone should go to the dentist now. And the right one should to a plastic surgeon or lose some chick weight. Both of them looks horrified! Baby sitter: We don’t like each other but need to accept each other as I need to earn some extra bucks. Finally, both of them looks happy! Happy dad and joyful son bond is the best thing to see ever! This baby is premature or has stayed in the womb for a decade? But I’m sure that I was away serving in the forces! So, it’s not mine. This is kind of mortifying. Well, it looks like both of them don’t like each other at all! The poor child is terrified. I just think about the person who swapped it during one of his campaigns! Am I the Barbie girl? Barbie girl was shaving his wife for a decade and now finally she can grow some beard on his face. This look like an older version of the baby! 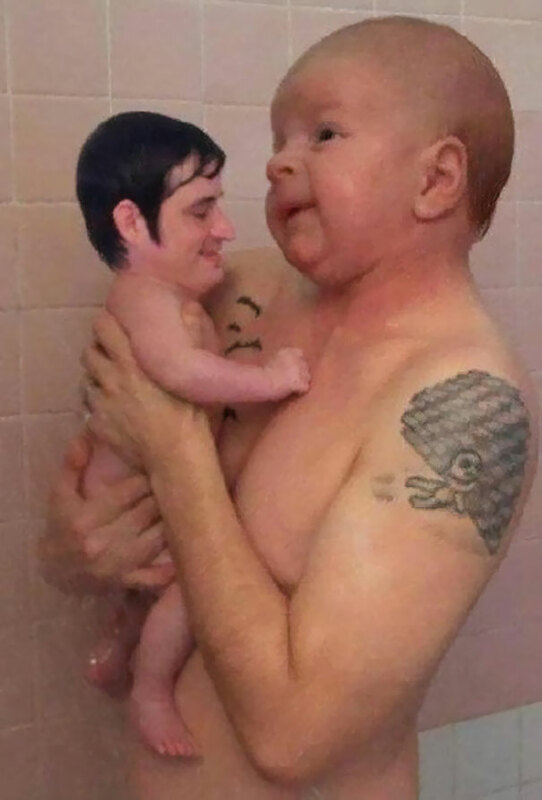 I hope this is the last face swap he does. The baby is like, I’m terrified and horrified by this baby. 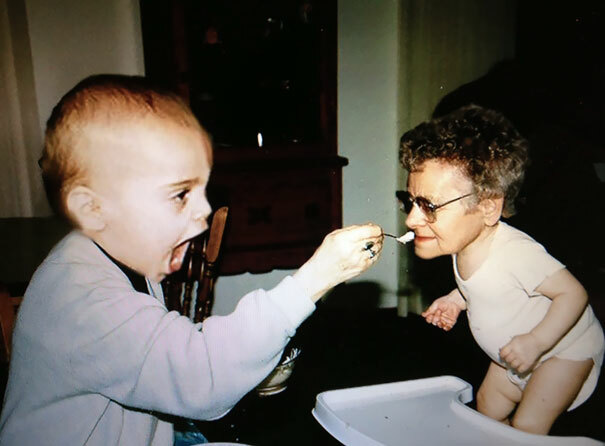 Is this face swap fail? 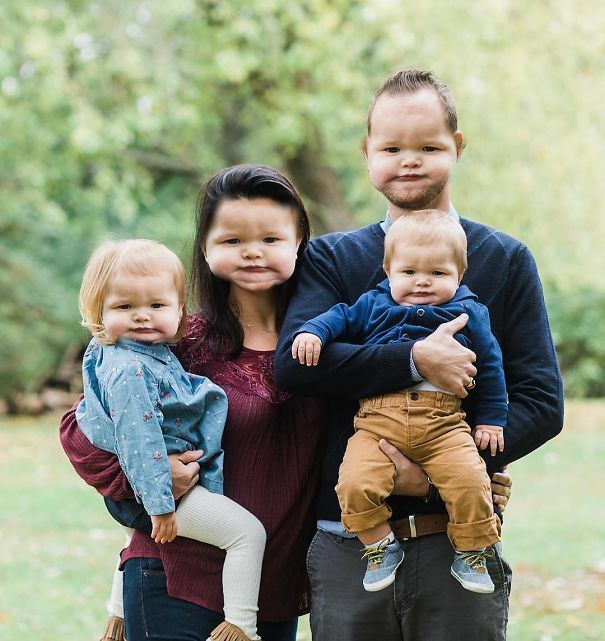 The kids took over the parent’s face? The kids are twins and got the same expression at the time.